Christmas is a time of goodwill to all…except Glasgow’s Air BnB renters it seems because sneaking in, just before Scrooge sent the young boy off to buy the fattest goose he could find, a landmark court case upheld a ban on Air BnB lets in flatted developments in Glasgow. It has hardly been publicised at all but in February 2017 in snappily entitled “SG10 Meeting Housing Needs SUPPLEMENTARY GUIDANCE” document, the Council announced that Short-term lets would not be allowed within buildings that have a communal entranceway without planning permission being granted for change of use. The start of an AirBnB crackdown is not a surprise. Since their popularity has grown, increasing noises have come from the general holiday accommodation sector and the buy-to-let sector about the restrictions they face compared to the lack of legislation impacting upon the short-term let sector. As a letting agent and property Factor we increasingly hear complaints about the 5am stag and hen party returnees and the associated vomit and carry-out messes left in the communal areas. Our Director Brian Gilmour will be discussing this when he appears on the Kaye Adams programme this Tuesday (19th February) but in advance we thought we’d ask him for some more detail and hopefully provide some clarity. Question: what’s the issue with Air BnB in Glasgow? Answer: It appears that Glasgow city council have now issued ( without any announcement by themselves on their website or to the press ) that they have banned the ability for homeowners to host short stay lets in flats (eg Air BnB). Question: How did this come to light if it’s not publicised? 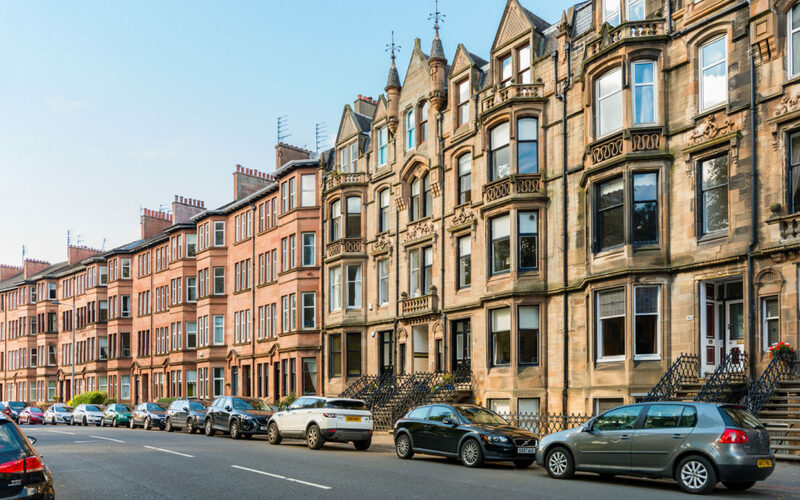 Answer: At the end of last year, Glasgow CC won an enforcement order against someone who was renting out their West End flat through Air BnB following complaints from neighbours. Question: So will this result in a heavy crackdown on short term lets? Answer: Not really. The council have said that any matters will be dealt with on a “complaints led basis” meaning it will be up to neighbours to complain to the council about it. Short-term lets will still be allowed on a one off basis and owners can get permission by applying for planning permission for change of use but there will be an attitude of the council to refuse in certain conservation areas although they will take cognisance of those areas with high tourist demands. Question: So is it all properties? Question: So is this the end of AirBnB in Glasgow? Answer: The fact that this has not been heavily publicised by the council and regulation will be “complaints led” implies to me that Air BnB will continue for quite some time. Most don’t know about it to either stop renting out or complain however, as a Factor and letting agent, the complaints I’ve received from homeowners and landlords about Air BnB properties, it doesn’t surprise me that restrictions are commencing. Indigo Square manage properties across Glasgow, Lanarkshire and Ayrshire with offices in Glasgow and Largs. Brian Gilmour is the resident property expert on the BBC Radio Scotland Kaye Adams Programme and can be heard every second Tuesday.